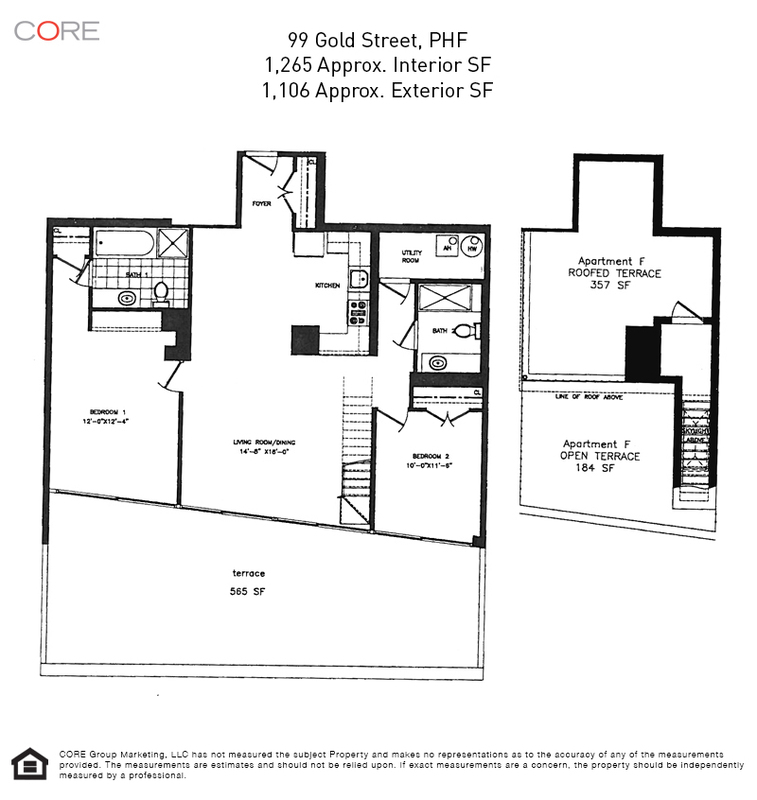 A terrace lovers' dream, Penthouse F at Gold Street Lofts boasts outdoor space on two levels - a 565 SF terrace off the living room and a 541 SF partially covered rooftop terrace. 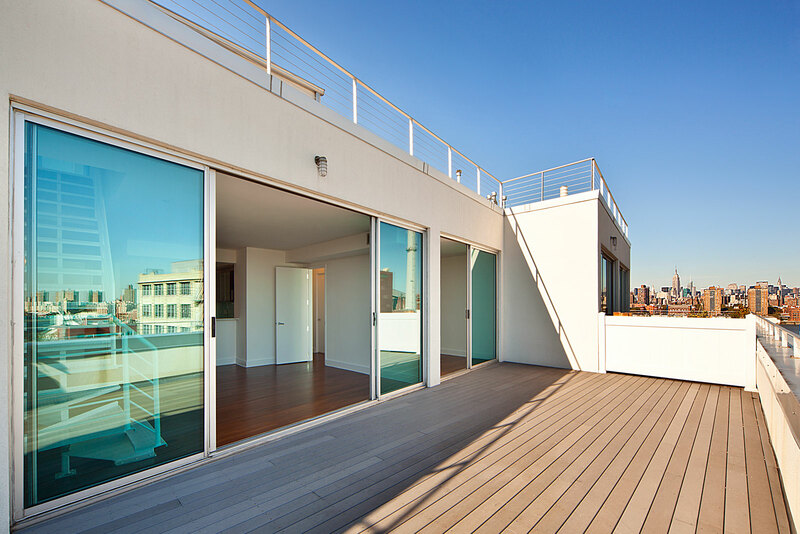 That's a total of 1,106 SF of private outdoor space! On the inside, this bright and airy 2-Bedroom/2-Bath measures a generous 1,265 SF with a split-bedroom layout for privacy. PHF offers expansive views of the DUMBO and Manhattan skyline, open plan living/dining room, hardwood floors throughout, and floor-to-ceiling windows. The kitchen features custom glass cabinetry, Bosch stainless steel appliances, marble countertop and a Grohe faucet. The spacious marble bath features Timur tile, Kohler fixtures and a deep soaking tub.